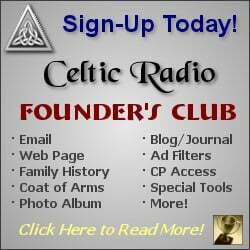 October 27, 2018 - CelticRadio.net - Ushering in a new generation of passionate folk performers - House of Hamill is a music project, which was started by Rose Balding and Brian Buchanan, two musicians who share a passion for timeless folk music, and more. The origins of this project are all about serendipitous circumstances, which allowed something truly magical to happen. The pair met up roughly 10 years ago, and their immediate kinship was apparent from day one. Rose and Brian were already active within the music scene, respectively as a member of Burning Bridget Cleary and Enter The Haggis. After crossing paths on and off for a while, Rose and Brian eventually became musical collaborators in 2014. This release is particularly striking due to the groups outstanding and magnetic performance. 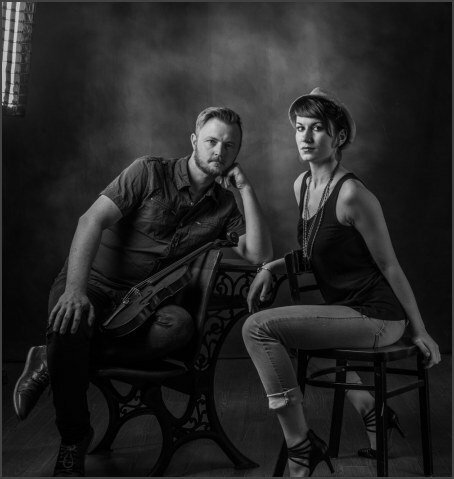 Both Rose and Brian know how to work on quality arrangements, and they remarkably set out to fill in the gaps of a specific sonic niche, allowing the music to cover a really broad range of frequencies and instruments. The result is a mix that feels thick, present and engaging, going for a really direct and forward-thinking feel. Back in 2016, they released their first project as House of Hamill, a well-received debut album titled Wide Awake. Today, they are proud and ready to unveil new material and share new songs with their old and new fans. Their 2018 release, March Through Storms kicks off just where they left off on their previous work. The sound of House of Hamill is even more defined than ever before, and the best part is - this new album is even closer in spirit to the duos passionate live performances, which have often been highly praised by fans and critics alike. 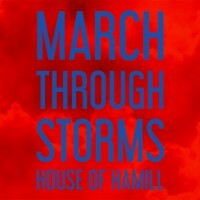 Ultimately, March Through Storms serves as a really interesting indication of the bands growth and progress through the years, as they set out to achieve an even more remarkable sonic vision. This album represents a new generation of folk musicians, reinterpreting timeless traditions, but igniting their sound with a fresh outlook on the genre, fueled by passion, commitment and vision.